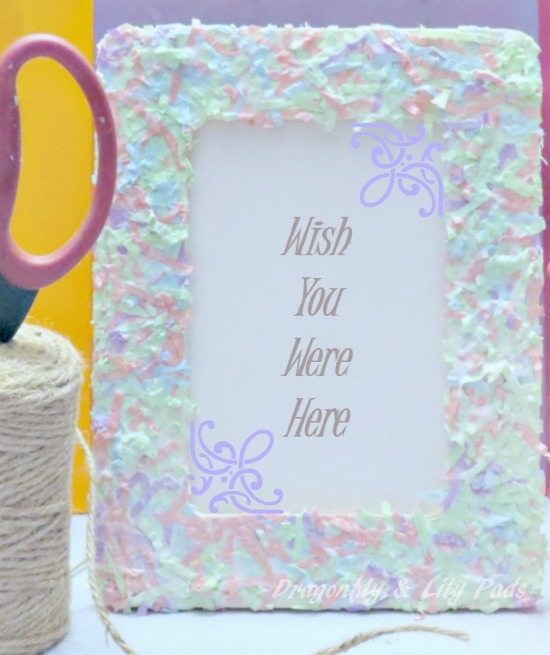 Today I will be showing you how to make an easy and affordable picture frame to save those summer memories. Here is a list of supplies II used. Let the kids be creative with a variety of materials to decorate their frame. I had planned on using things I found outside at the lake. After raking seaweed all afternoon I decided that what I found smelled. It is always good to have a plan B. The steps are simple but messy. 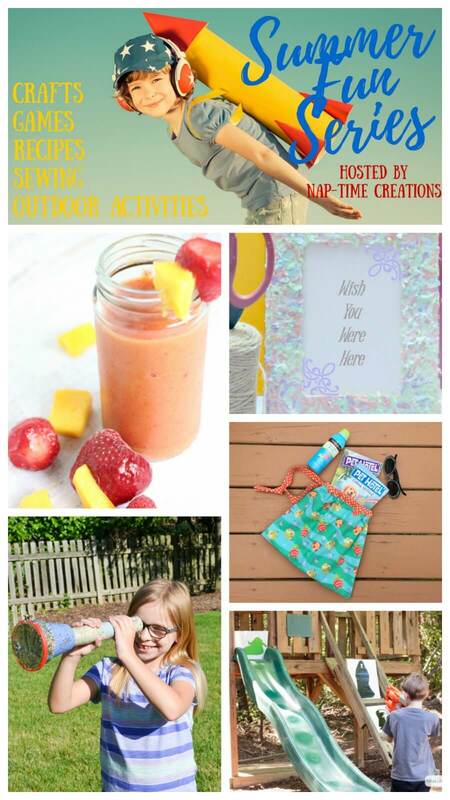 One thing for mom the other for the kiddos. First gather your supplies. They can all be found at your local craft store. You may want to choose safety scissors for smaller children. 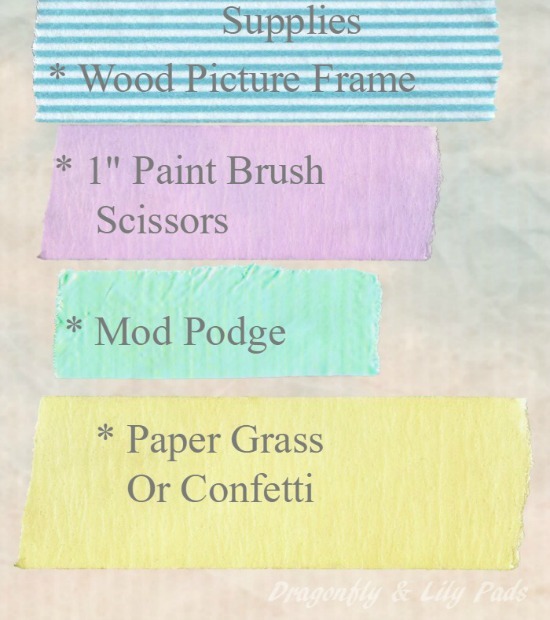 Next you can cut the paper strips into smaller confetti with your scissors. Now you are on your way and getting messy. 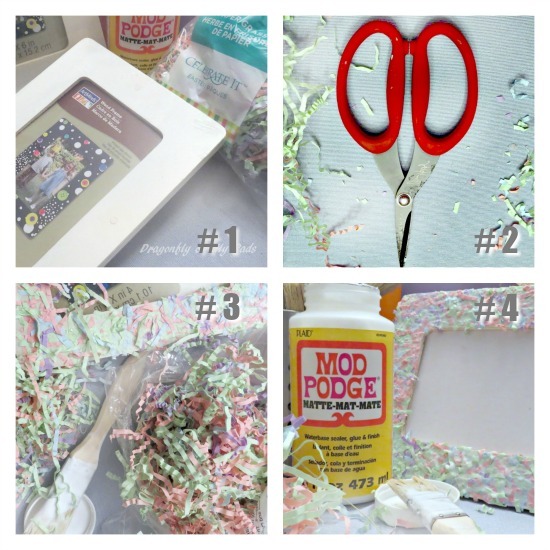 Brush a layer of +Mod Podge on a section of the frame and start placing the confetti on the glue. You do not want to be delicate with this step. Keep filling the frame with the paper as you go around to meet at the other end of the rectangle. Let it dry a few minutes and fill in any missing spaces with paper confetti. Let the paper dry over night. Trim all the loose paper plus the edges to create a nice finish. Coat the frame with another coat of Mod Podge to seal it. Let is dry then place your favorite picture from this summer of fun in the frame. There is new neighbors on our block who will receive this frame for their baby girl. They are have summer fun with a new house, roof and baby. This picture frame is the perfect way to savor their summer blessings. 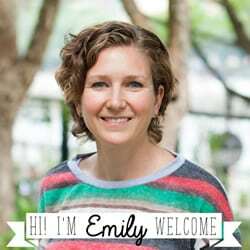 Thank you Emily for sharing your friends with me today. 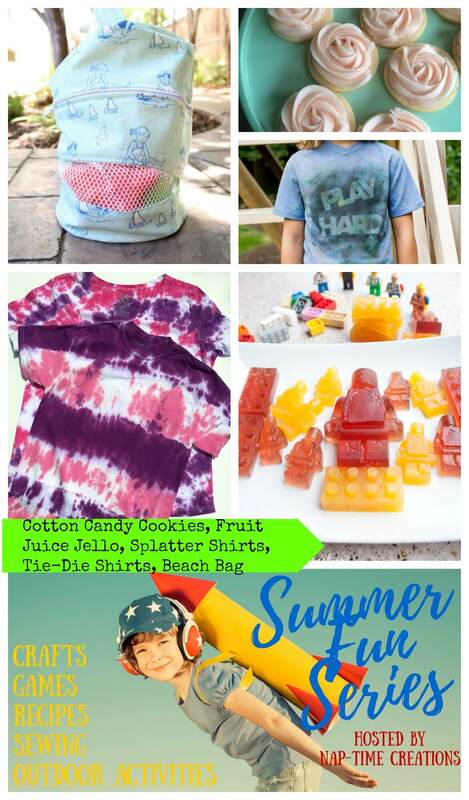 Please be sure to join the talented bloggers who have more summer fun ideas for you and your family. Your frame is so adorable…that was such a creative idea! Thanks so much for sharing it with us at Share The Wealth Sunday! Adorable! I can’t wait to check out the other ideas. Pinned. What a creative way to decorate a frame. 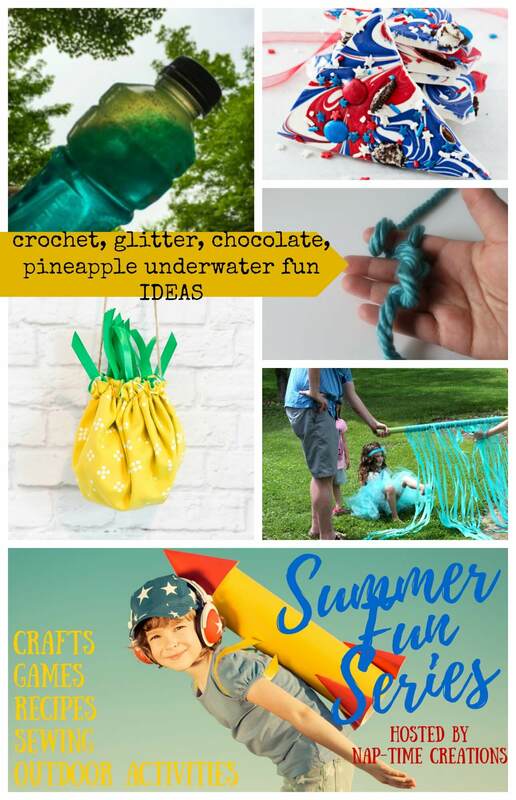 It looks like a fun one for young kids to help make. Thanks for sharing it with #EverythingKids. So darling! Wouldn’t it be a great gift!! Thanks for sharing with us at Throwback Thursday!